New York is the first state to categorize public relations as lobbying. Watch out, industry leaders are fighting mad. From what I’ve seen over the years, PR pros aren’t easily shocked. However, New York State’s Joint Commission on Public Ethics (JCOPE) has managed to stun most in the industry. Earlier this year, JCOPE passed regulations that require PR consultants to provide information on their relationships and interaction with the media and government officials in the state of New York. Doesn’t it sound like the kind of accountability that lobbyists must provide? According to the scope of the rules, PR practitioners or firms working with New York State officials could be labeled as lobbyists because of their potential influence on public officials via the media. The move has prompted public relations practitioners, agencies and professional organizations to ask how this label could be associated with the entire PR industry. The deliberate attempt to influence political decisions through various forms of advocacy directed at policymakers on behalf of another person, organization or group. We suggest that JCOPE chair Daniel Horwitz and the other members of the commission consider the chilling effect it will most certainly have on free and clear lines of necessary public communication. They should issue a revised opinion that focuses on interactions between lobbyists and government officials. Such an opinion could require our clients to include expenses for PR campaigns related to legislation and rulemaking on their reports, but would not force registration and reporting on those who no one considers to be lobbyists. PR pros are always looking for ways to create credible stories with the purpose of communicating important information to the public. By sharing safety information, medical treatments, research or consumer behavior, practitioners provide insight that’s important in the lives of people and the communities in which they live and work. Even on the hyperlocal level, like high school sports scores and ribbon cuttings, the public depends on PR practitioners to inform them about their world. 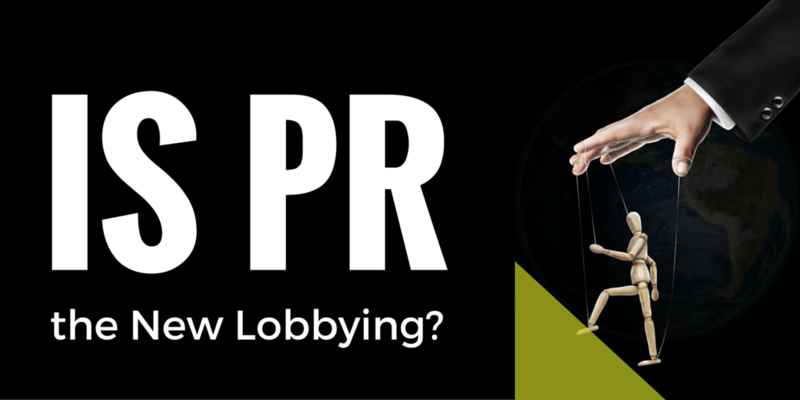 As the debate rages, PR professionals and industry organizations across the country will continue to stand together and oppose mandates that unfairly group public relations with lobbying and lobbyists.